2x Grammy nominated producer and DJ, Steve Aoki has announced his North American dates for the ‘Kolony Tour, ’ with Brooklyn born rapper and producer, Desiigner. The 32-city run kicks off February 10th in Washington D.C. and wraps March 17thin La Vegas, Nevada. Desiigner, Bed-Stuy native, rose to fame in 2016 after the release of his debut single "Panda", which reached number #1 on the U.S. Billboard Hot 100. He since signed to Kanye West's G.O.O.D. music label. This is the not the first run of an Aoki/Desiigner union. Aoki's remix of BTS' "Mic Drop," featured Desiigner and debuted at #1 in 43 countries. The remix went on to solidify BTS as the highest charting K-Pop Group on Billboard Hot 100, as mentioned in Forbes Online. Aoki's latest album, “Kolony”, debuted at #1 on the Electronic Album charts. Marking his first full turn into rap music “Kolony” is stacked with features including Lil Yachty, Migos, 2 Chainz, Gucci Mane, T Pain, and more. His latest single, 'All Night' with Fifth Harmony's Lauren Jauregui debuted at #1 iTunes Dance in over 30 countries and #1 iTunes overall in more than 14 countries. For each ticket sold $1 will be donated to the AOKI FOUNDATION, whose primary goal is supporting organizations in supporting brain science and research areas with a specific focus on regenerative medicine and brain preservation, as well as humanitarian crisis. Steve Aoki is a 2x Grammy-nominated international producer/DJ, electronic dance music entrepreneur, and founder of the trendsetting record label, events/lifestyle company and apparel line Dim Mak. Since launching in 1996, Dim Mak Records has become a launch pad for seminal acts such as The Chainsmokers, Bloc Party, The Bloody Beetroots and The Gossip through deftly marketed single and full-length releases and now has well over 500 releases to date. As a solo artist, AOKI's has become a force of nature averaging over 250 tour dates per year. Known for collaborations ranging from Snoop Dogg to Linkin Park to JJ Abrams to Migos and Louis Tomlinson (One Direction), AOKI's debut artist album was nominated for the Best Electronic/Dance album Grammy while his follow ups NEON FUTURE I & II featured his Gold certified single "Delirious (Boneless)" with Kid Ink. Most recently “Just Hold On” with One Direction’s Louis Tomlinson became a global smash after the pair debuted the song with a performance on X Factor. The song debuted at #1 in 43 countries and has since achieved Gold or Platinum status in 18 countries. AOKI recently received his second Grammy nomination in the Best Music Film category as the subject of the 2016 Netflix Original documentary “I’ll Sleep When I’m Dead” which premiered to a sold out audience at the Tribeca Film Festival. Steve has also both donated and raised hundreds of thousands of dollars for various charitable organizations including his own AOKI FOUNDATION with a primary goal of supporting organizations in the brain science and research areas with a specific focus on regenerative medicine and brain preservation. The AOKI FOUNDATION has a primary goal of supporting organizations in the brain science and research areas with a specific focus on regenerative medicine and brain preservation. Our vision is to one day see a world where degenerative brain diseases do not exist and science and technology play a direct role in extending the healthy lives of ourselves and our loved ones. 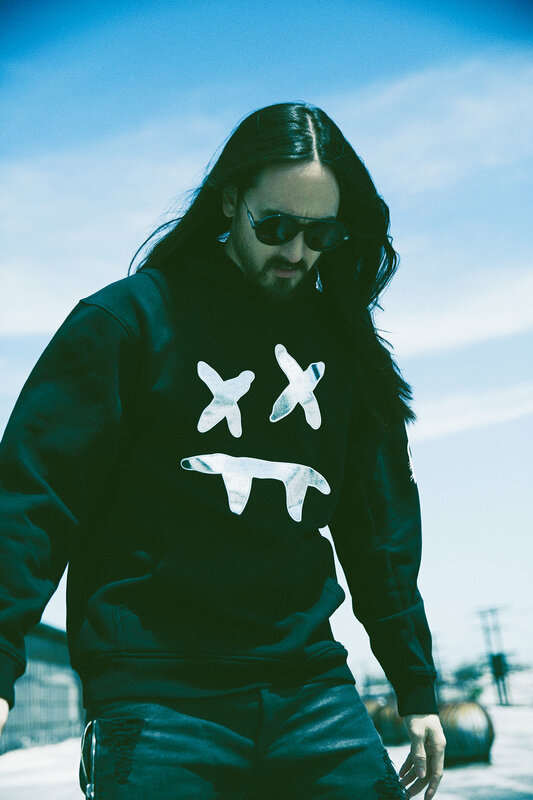 The Foundation also supports humanitarian causes dear and near to Steve Aoki such as disaster relief, developmental disabilities, and animal-rights.